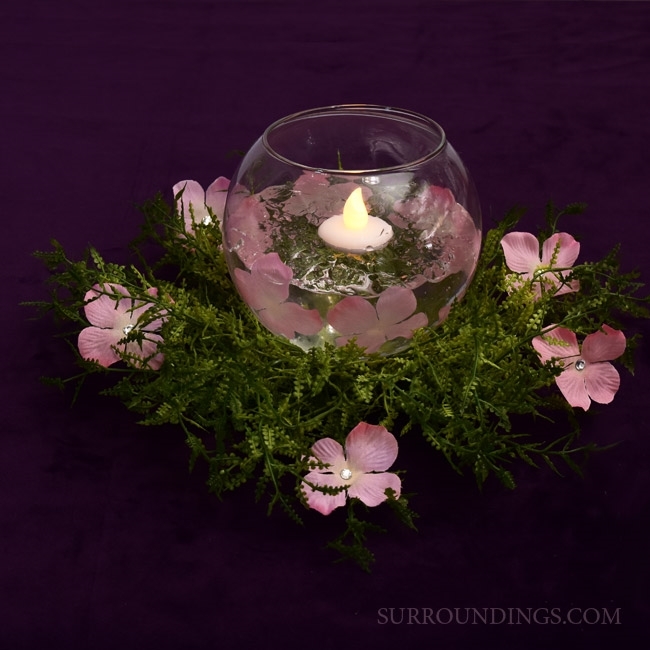 This centerpiece uses a 5" bubble bowl. 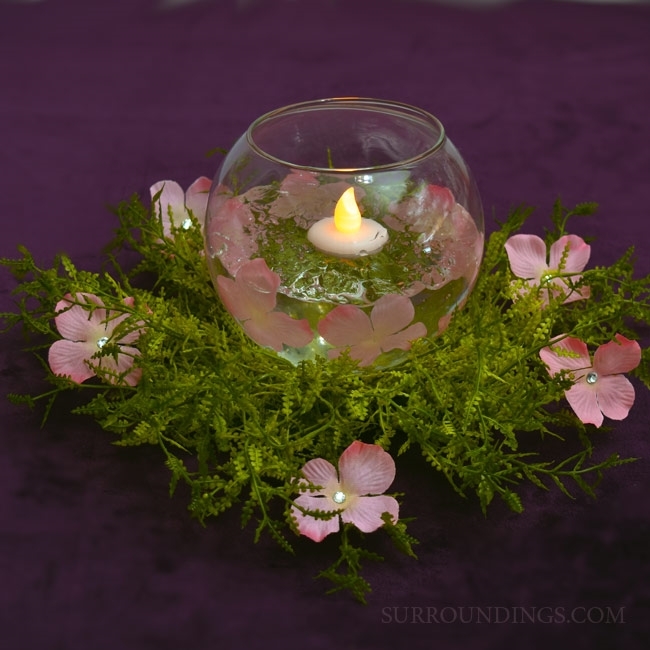 The feather fern burst softens the display while the pink diamond petals bring the sparkle, but not too much. 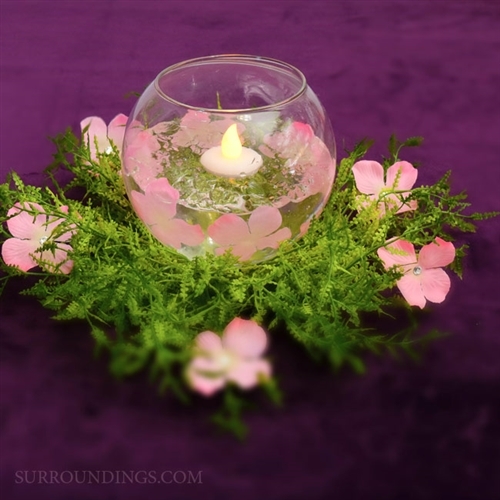 A touch of water gems keep petals and battery floating candle in place.